At IFI, Karen Oliver is both “adviser and resource person” and editor/writer in the Media Department. 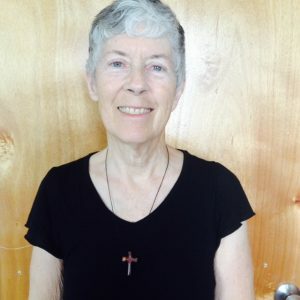 She teaches listening prayer and inner healing to interns, edits and writes some of IFI’s publications. Karen has volunteered with IFI since 1990 and came on staff in 2000. She lives next door to University Village Apartments (home to many internationals) with housemate Fabiola Jara (also on IFI staff) and has two grown daughters and a grandson. She enjoys gardening, hosting people in her home, repairing things, meeting the Lord in daily quiet times, and praying.